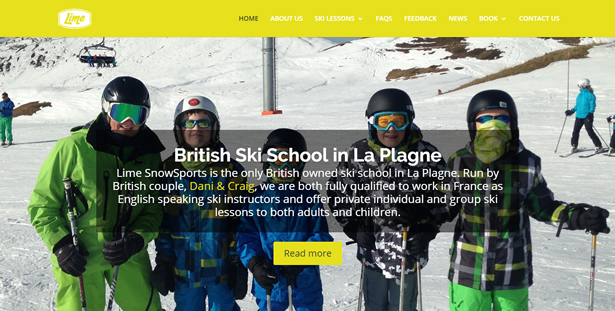 Dani & Craig needed a new website for their company, Lime Snowsports. They provide private and group ski lessons to adults and children in La Plagne and wanted to refresh their existing site and also drive more traffic to the site as they felt they were slipping in the Google rankings. We updated their website for them and also provided help and advice on SEO and implemented new words and phrases into the site with the help of a copywriter who re-worded their content for them.